No official school existed at this time. The girls all joined in July 1913, then had their first performance in 1914. 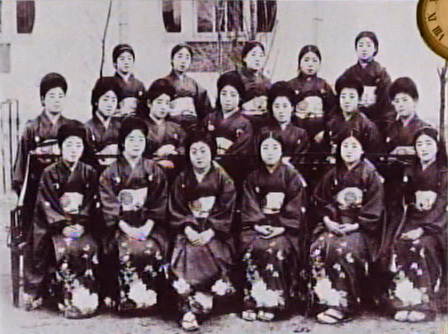 † Wakana Kimiko debuted in 1915 with Hina Matsuri. No official school existed at this time. The girls all joined in December 1913, then had their first performances in 1914. Created by caithion. Last Modification: Saturday 22 of September, 2018 19:40:46 PDT by caithion.